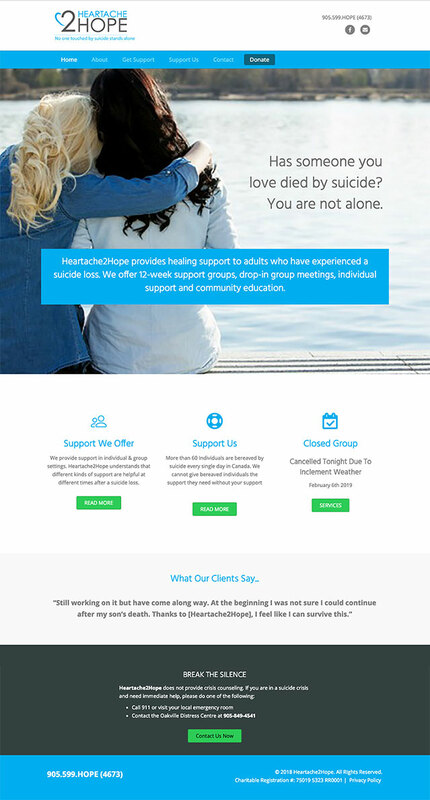 The client, a non-profit organization, needed a revamp of their existing website. Their audience includes adults who have lost someone to suicide. They needed to show-case their unique workshops, resources and contact page. Users needed to be able to contact them from different sources as well as learn about their services. As a new start-up, we were looking for someone reliable to create a custom-built website, someone who would listen and bring OUR vision to life. Enter Anne Degroot. Anne is extremely knowledgeable, detailed, efficient and an absolute professional. She actually managed to make the whole process fun and we are thrilled with the end product. We would highly recommend Anne to anyone looking for a custom-built website. You will not be disappointed.